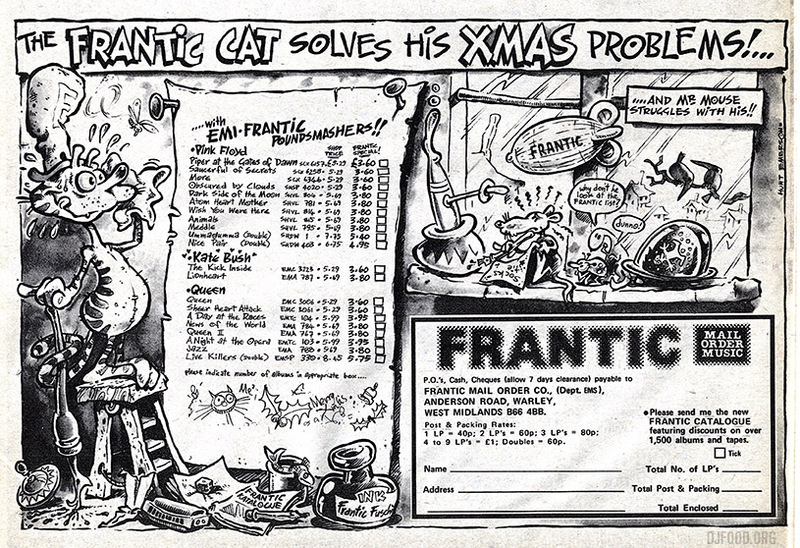 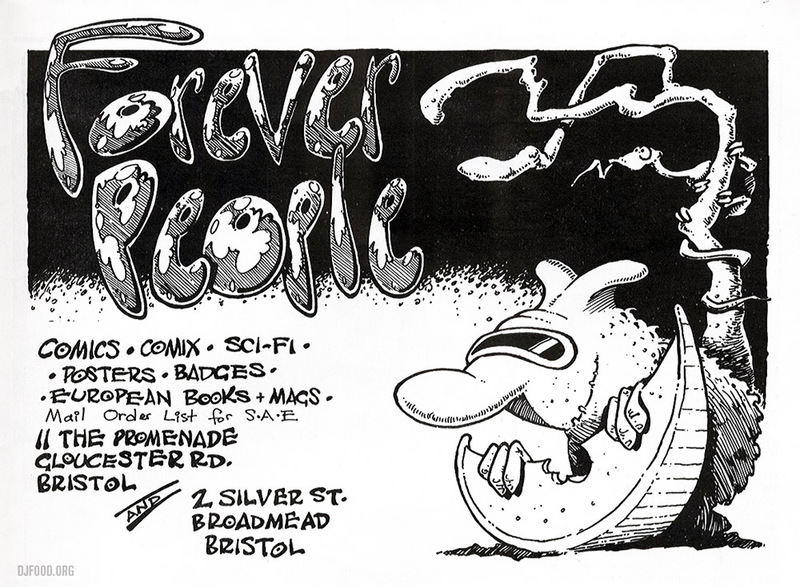 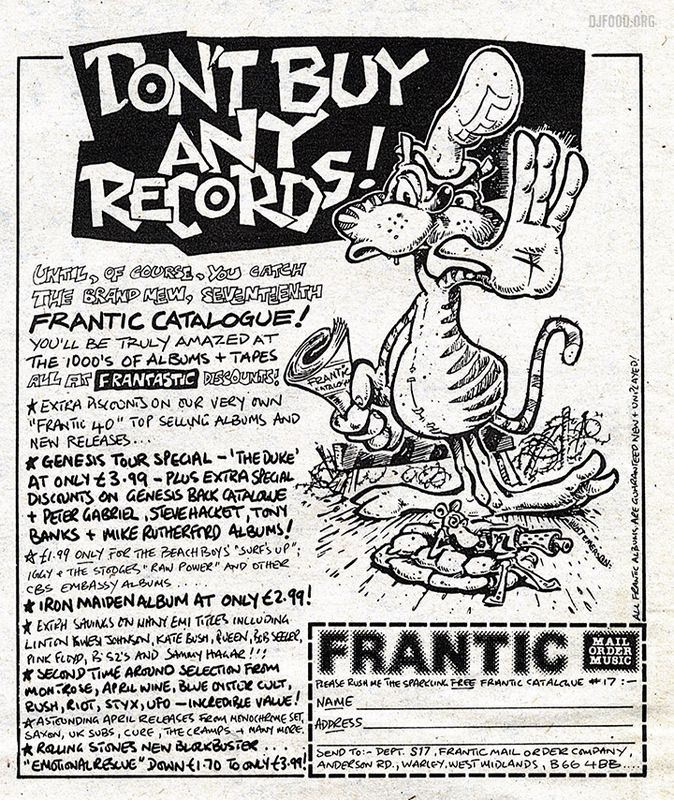 (Above) An advert for the Forever People comic shop in Bristol, taken from issue 4 of Street Comix (ArZak 1977) (Below) A pair of lesser-seen ads by Hunt from the back pages of Sounds, the Xmas one being from Oct 11th 1980. You can see how much more detailed his style was at the start of the decade. 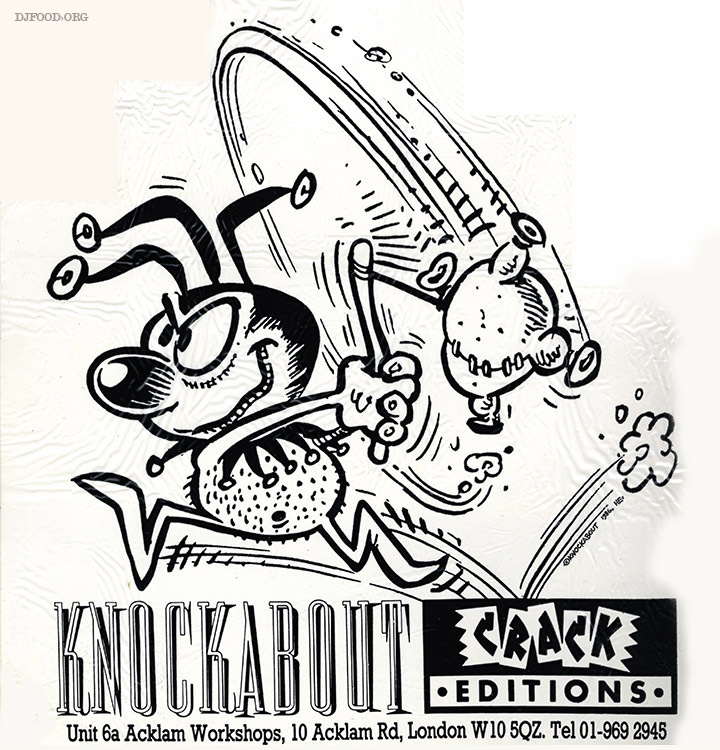 (Below) Emerson‘s Jester character on the warpath for a Knockabout comics carrier bag from the late ’80s.